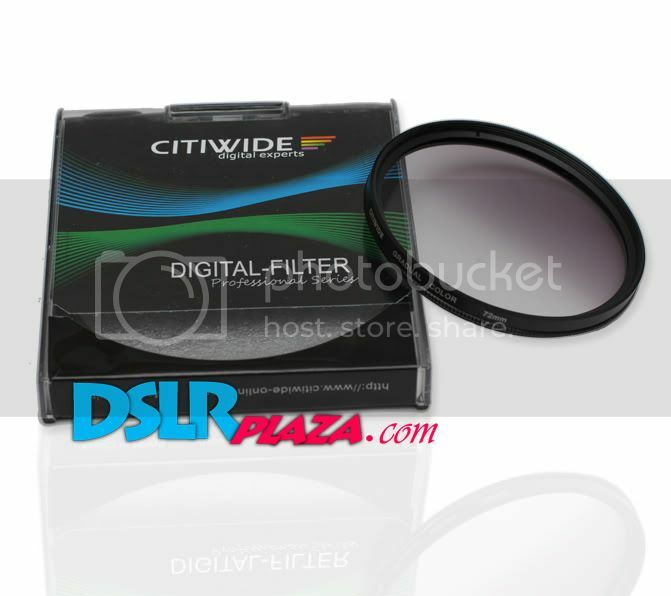 Citiwide GND filters are rotatable like a circular polarising (CPL) filters in the mount in order to adapt or adjust the graduation easily. Graduated Neutral Density (GND) filters are useful in compensating the extreme contrasts between bright sky and relatively dimmer landscape. With GND filters, more details can be retained in the brighter areas, while maintaining correct exposure throughout the picture. 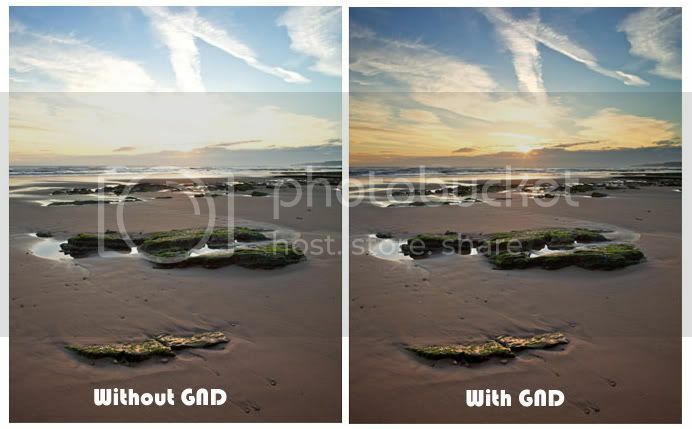 In other words, the sky is often brighter than the ground so a GND filter will allow photographer to darken the sky so it requires the same amount of exposure. 1 Year DSLRplaza standard warranty.